SEO Writing > What Is SEO Writing? Today more and more people hear about search engine optimization (SEO) even if their current jobs aren’t directly related to online activities. The reason for that is that companies have to reach out to prospective customers wherever they are since a lot of people spend hours online every day. Such trend has a significant impact on how businesses plan their marketing and advertising efforts. 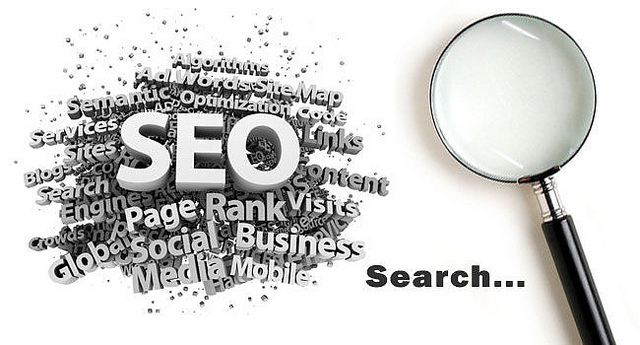 As a result, search engine optimization becomes an important part of marketing campaigns of every successful company. The fact is that the number of SEO content writer jobs has drastically increased on the jobs market over the last couple of years, which signifies how important this area becomes for businesses today. In this article we will define SEO writing and even copywriting as well as talk about it the importance of these two marketing aspects. “Freelance SEO writers needed!”, “SEO content writers needed!”, “Freelance SEO content writing jobs here!” or “Entry level SEO writing jobs available!” - these are the ads people face today more often than ever. If you are skilled in writing and like marketing stuff, then this type of employment can be a great move for you. The question then remains: what does a SEO writer actually do? SEO writer’s main task is to craft content in a way that will help the website be more visible in search engines (largely due to the smart placement of specific keywords). Writing texts so that they rank high in search results is not an easy thing to accomplish. Besides, SEO content writer job description includes dealing with titles and meta descriptions that help Google robots recognize the credibility of the text as well as its relevancy to targeted users. Usually, before undertaking the task to write SEO content, specialists consult with company's marketing professionals who should fully understand the company's services and products. Such knowledge usually drives high placement of keywords and provides insight to SEO writers what topics should be used to achieve SEO goals. Usually, companies post job ads like “SEO article writers needed” when they want someone to write blogs, social media posts, press releases, web page content, and white papers. In the attempts to understand how to become a SEO content writer, many face job advertisements that also list SEO copywriting jobs. As a result, some are frustrated as they don't understand the difference between the terms. Copywriting is different from SEO writing as it focuses more on the kind of content that is usually used for advertising purposes. SEO writing jobs online require people to create content for delivering specific information to users while copywriting jobs are all about pitching one's brand or selling a product/service. Such texts as a rule appeal more to emotions of the targeted audience (prospective clients). When it comes to copywriting, the job assumes you will research your audience first before writing any texts: this knowledge should help you to understand their needs and gain their trust. Simple verbiage and catchy headlines are two main characteristics of the texts written by a good copywriter. In simple terms, you can think of SEO writing and copywriting in the following way: SEO writing is about grabbing the attention of search engines while copywriting is needed for attracting the attention of consumers. Copywriters develop email letters, PPC and other kinds of online advertisements, web page content, billboards, sales letters, commercial scripts, etc. SEO writing and copywriting efforts combined together help businesses grow their customer base by means of publishing the relevant marketing content. Because the role of online communications has grown significantly over the past years, companies couldn't neglect this trend and, therefore, reacted accordingly. If you take a look at how actively companies use websites these days, you would understand that the businesses just adjust to the needs and wants of their potential customers. So if everybody goes online, that's where the companies will be meeting their prospective customers. The fact that the majority of traffic comes (to a company's website) from the use of search engine makes marketing and sales managers think what they can do to have people find their website whenever they do a search. That's where SEO writing and copywriting step in. Good SEO writing ensures consumers find your website whenever they look for products or services similar to those you provide. Copywriting then is meant to convert website visitors into customers thanks to application of effective sales and marketing texts. Obviously, SEO writing and copywriting extend beyond the company's website – this is just one example to understand how important the aforementioned marketing aspects are for businesses today. That is the reason why multiple freelance seo article writing jobs appear on the jobs market today.